Tesla Model 3: Third-generation Tesla gets a name, and it’s not Model E.
Tesla scrapped plans to call its next car the Model E, so its three models would spell S-E-X. 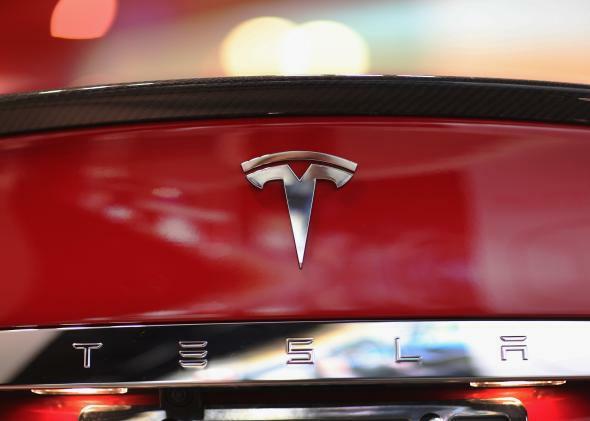 Tesla’s first attempt at an “affordable” electric car will be called Model 3. CEO Elon Musk revealed the name in an interview with AutoExpress. The car, which will be based on an all-new platform, is projected to cost $35,000 and go on sale in 2017. Musk said its battery should have a range of about 200 miles with strong performance, and the car will come with free access to the company’s Supercharger network. The name will carry a familiar ring for customers looking to buy a compact luxury car in that price range. Tesla’s 3 should compete head-on with the BMW 3 Series, which has long been a leader in the class. Despite the name, Model 3 won’t technically be Tesla’s third model. If you count the Roadster as its first and Model S as its second, the third will actually be Model X, the $70,000 all-electric luxury SUV that is going into production this year. But Tesla considers the 3 its “third-generation” vehicle because the Model S and Model X are built on the same platform. Actually, Tesla had originally planned to call its next car the “Model E.” Musk, who apparently has a juvenile sense of humor to go with his brilliant mind, liked the idea of selling three cars with the model names S, E, and X. But that plan was blue-balled when Ford threatened legal action. While Tesla says it is focused on bringing the Model X SUV to market, it’s the Model 3 that could determine the future of the company and shape the fate of electric cars for years to come. While the company started by making luxury cars, Musk has always been adamant that his ultimate goal was to build an all-electric car for the mass market. The biggest obstacle is the price of long-range batteries, which cost far more than internal combustion engines. That’s why Tesla is also gearing up to build the world’s largest electric-car battery factory, with the goal of reducing the cost of its battery packs by some 30 percent. That effort will be crucial to Tesla’s ability to deliver on its promises. Tesla Is Opening Up All of Its Patents. Brilliant Move.